What is the first thing comes to your mind when you hear about Bali? The popular on must be about Beaches and exoticism. Do you know that we got more than that? Bali are Island of Gods, thousands of greatsunset spot, surfing, cultural grandeur, magnificent art, culinary hot spot, romantic wedding and honeymoon destination and many more. Those are only few things that will describe Bali. Even thousands of words will not ever be able to tell you how great Bali is. Therefore you have to come and experience yourself the magical touch of Bali. In here, you could find many thing to descript how Bali offers so many enjoyable things. There are a lot of unbelievably wide range of accommodations that offer you magnificent sceneries, restaurants, spas and world-class activities andshopping - all within very fair prices. With total length 437 kilometers of shorelines, Bali has plentiful of amazing beaches. There are differs from pretty white sands to exotic black sands, quiet private beach to hype and fun public beach, mild stream to ready-to-ride wild waves even makes Bali beaches more interesting to be enjoyed. Various activities you can see here on the beach. People jogging or walk their dogs, surfing, sunbathing, local Balinese having their religious tradition ceremonies and even you can see couple sharing their love and celebrate their romantic moment inone simply beautiful wedding ceremony on the beach. I would say that there will be no regret visiting these sites. For private and quiet white sand beach, you can go to Padang-padang beach at uluwatu, on this beach you can also do surfing. If you are looking for entertainment on the beach you can go to Arjuna beach or people used to call it Double Six Beach, there are so many beach front cafés with daybed and bean bags, then you can enjoy your lazy sunset chit chat with your friends and families. 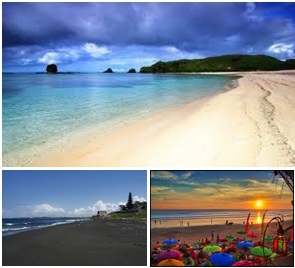 Black sands beaches also offers their own exoticism and attractiveness several recommended place to go are like Canggu Beach and Berawa Beach in Canggu area, Ketewel Beach and Keramas Beach in Gianyar area. So beach lovers…, what are you waiting for. Pack your bags grab your tickets and fly here to Bali. It is one hundred percentsfull of pleasures. This island is unique with its own religious and tradition so called Balinese Hindu. The religious and tradition can form an enormous series of art. That is why the culture itself makes Bali even more beautiful for you to explore. A series of religious ceremonies that held by local Balinese involving all forms of art ranging from dance, traditional music (gamelan bali) and even the temple building that is used for the ceremony was part of the art itself, besides its unique architecture design, there are also a lot ofstatues and sculptures relief forms used in their temple. This affects the perception, mindset and lifestyle of the Balinese people. They love arts, its like already in their blood. That is why Bali is heaven forart enthusiast. You can find thousands of art craft such paintings, sculptures, statues, and also great designs of building, homes, and interiors. With cultural treasures like this, Bali became one of the very popular tourist destination. 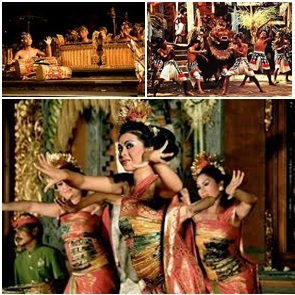 Moreover about the culture, Balinese are believe in the balance of life. They appreciate and respects the live and the deaths. They held ceremony and prayer for all the creature and Gods creations Such as trees, pet and animals, the land and the building, money, metals and many more. They also have respects to their ancestors and believe in reincarnation. What makes this island more amazing,this is the only place in the world that celebrates Nyepi (Day of complete Silence). During this day they celebrated the New Year of Hindu by way of introspection and do meditation to cleanse themselves and start the new year with a clean soul. On that day there will be no activities. No one comes out from their house, no electricity, no entertainment, and even they close the international airport and harbor. This one day experience offers you a complete peaceful and also have the chance to sense the art of living. For everyone likes full peacefulness, this is going to be the right moment for you to do complete silence. My Advice is, come to Bali, booked a private villa and feel the magic and magnificent aura of complete silence. It is amazing, you will experience a brilliant art of living. Trust me! Besides the beautiful beaches, Bali is blessed with dozens of lovely natural sites. Start from the north-western part of the island has Taman Nasional Bali Barat (West Bali National Park). This place is a conservation area that has several habitats a savanna, mangroves, montane and mixed-monsoon forests, and coral islands with an amazing dive spot. Not only that, if you go through to the east you will find wonderful spot called Lovina beach. At this place you will see packs of dolphins swimming through the open sea. If you are traveling around the island, your eyes will be spoiled by the beauty of the vast stretches of paddy fields. Even in the mountainous region you still can enjoy the exposure of terraced paddy fields. You are not going to find this kind of landscape in other part of Indonesia. You will find also fabulous sight of the ocean from the top of the cliff. Viewing 180 degrees of landscape too the blue of Indian Ocean would amazes you. That is why a lot of property made right on the edge of the cliff, especially private villas. I guarantee you will not feel bored to watch the whole grandeur of scenery in Bali. Since Tourism is being major business in Bali, accommodations became important. You can find any kind of accommodation here in Bali. From the backpackers lodge to stupendous villas, from tens of dollars rates to thousands of dollars rates per one night. From this point it is clear why Bali is now overrun by various types of private villa. Many people from all over the world come to Bali just to enjoy the coziness and the magnificent view of those private villas. Therefore many property entrepreneurs began to targeting other than the usual tourist. They also targeting pleasure seekers including honeymooners. This is why Bali is one of destination for couples that want to have beautiful romantic honeymoons. This development makes a lot of investors who come to participate in this property business competition to build fabulous villas in Bali. Departing from the honeymoon suite, many private villa management already develop fully wedding package. With various sceneries offered such as beach front, cliff front, jungle, gardens and many more makes Bali even more interesting to visit. Not only the fabulous view, but also the coziness, comfort, the prestige and exclusive living experience, with private butler, your own housekeeping makes your holiday or honeymoon even more perfect. Who would dare to refuse this kind of astonishing services with all of perfections which offered by them. Like I said in the beginning, thousands words can only describe few about how great Bali is. So I think you don’t have to wait anymore. If you want to have A to Z experience, go packs your bags and come to Bali. You will have experience even more than I can tell in this article. If you need for assistance, our company can also provide A to Z services. Regular holiday, romantic wedding, fabulous honeymoon, and even private party. We are glad to assist you and give the best in live experience in Bali. See you in Bali folks.